Facebook’s Watch video service has been unveiled to users of the social media platform in the United States. The move is part of efforts by the social media giant to compete for advertising revenues generated from videos with the likes of YouTube. This follows a shift in consumption habits as viewers are now increasingly watching content on their mobile devices as opposed to television sets. Watch, which has been in beta testing for the last three months, now features shows from sports organizations such as Major League Baseball and media companies such as Walt Disney’s ABC, A&E Networks, Discovery Communications, Buzzfeed and Vox. Surveys indicate that the average American spends over 73 minutes daily viewing digital video. This is an increase of over 7% compared to last year’s statistics obtained by eMarketer. Watching of traditional television, on the other hand, has fallen by 2% from 2016 and now the average American spends 244 minutes daily watching traditional TV. This trend is expected to escalate. Some of the creators of content will be paid for their shows by Facebook in order to drive interest. According to sources shorter form shows are being paid for at a rate of between $10,000 and $35,000 while the payment for longer shows is about $250,000. Facebook’s partnerships vice president, Dan Rose, however said that the Palo Alto, California-based social media giant had no intentions of making acquired content the core of its strategy. “We are not focused on acquiring exclusive rights. The idea is to seed this with good content,” said Rose. According to Rose the social media firm intends to make submissions of content to the platform open to all and then share ad revenue. 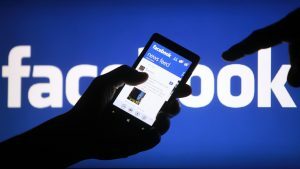 Facebook has proposed a ratio where 55% of the revenues will go to the publisher or creator of the particular content. Currently Facebook is testing in-stream and midroll ads with some partners. Submitted shows will have to undergo an approval process first to ensure quality and that terms of service are observed. To differentiate it from competitors Facebook says that Watch is more community-oriented and personal. Shows can for instance be suggested based on the interests of a user. Friends can also comment as they are watching videos. Besides desktops and mobile devices, Watch can be accessed on a couple of connected-television platforms such as Samsung Smart TV, Android TV, Amazon Fire TV and Apple TV.